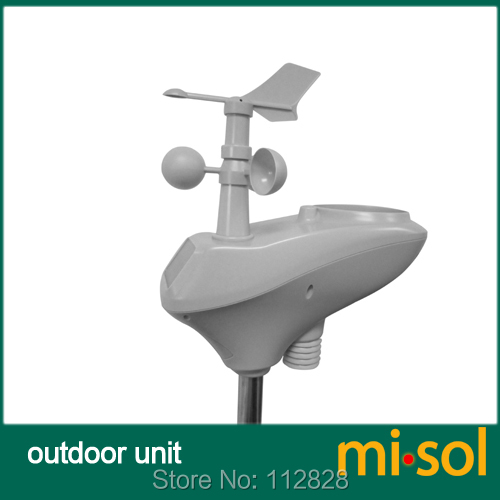 direction, temperature, humidity, wind speed, wind direction, rainfall, UV and solar radiation. 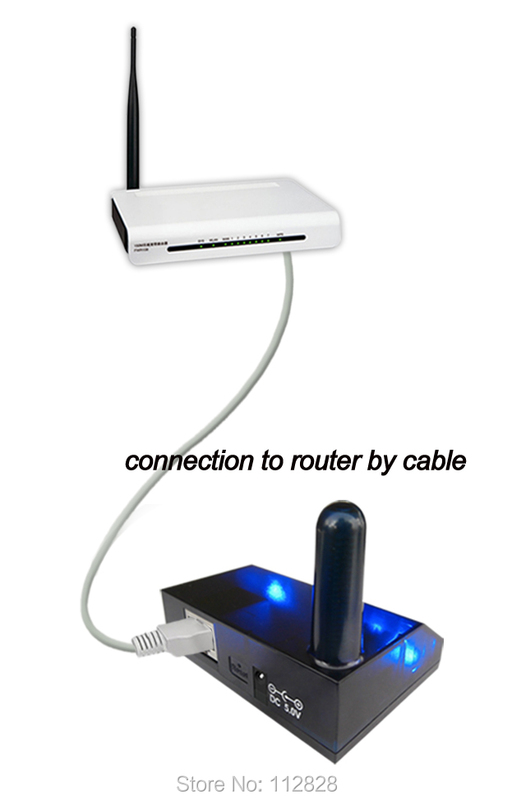 The all-in-one sensor array features a pagoda thermo-hygrometer radiation shield with passive aspiration for the upmost accuracy, a bubble level for plumb installation, and a solar panel to charge the internal super capacitor. 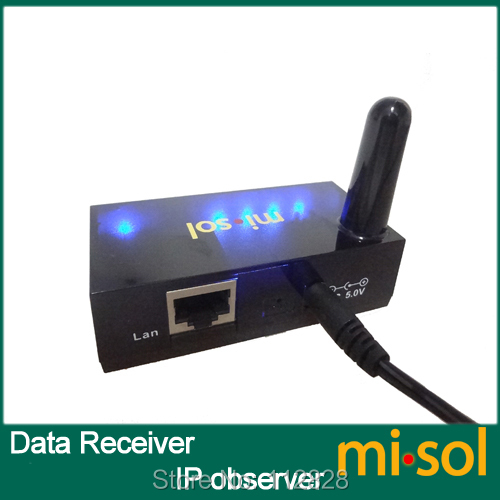 The IP Observer module (Data Receiver Module) receives data from the sensor array and connects to your router (by cable). 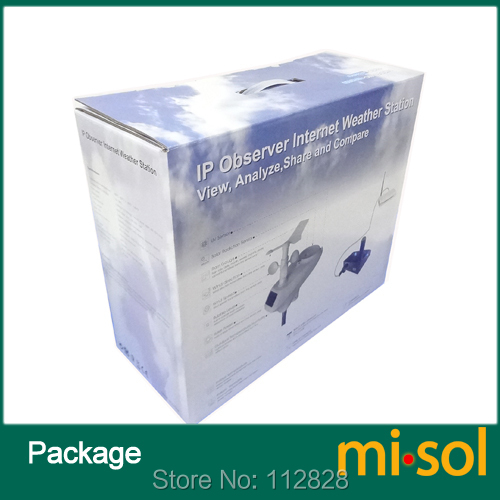 The IP Observer module (Data receiver module) is configured through the web browser. 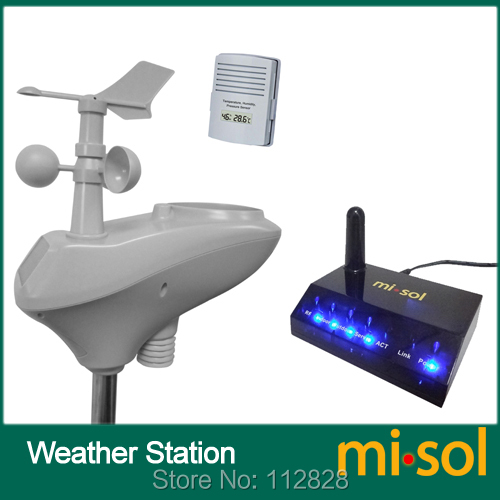 Remark: we recommend Lithium batteries for cold weather climates, but alkaline batteries are sufficient for most climates.